New Social Media Network, ‘Line’, Overthrows Facebook in Asia and Moves Westward. Next Target: U.S.A.
Mark Zuckerberg’s latest appearance in China may be much more than a cute PR stunt. The fact is that the entire future of Facebook may be on the line or may be destroyed by Line, Asia’s new social network service that has already, in one year, taken complete control of the Japanese market. It has spread its influence into other Asian countries as well and has already launched its Chinese –government-compliance version called Lianwo. In April, Lianwo surprised everyone by topping the Apple App Store’s social networking download list. The surprise was caused by the belief that China’s main social networking service, WeChat, was invulnerable. Now, it looks like it has found some competition. Facebook is blocked in China, and Zuckerberg and his team must know that they need a player on the field to compete in this major battle, hence, the media laden visit to China with the showcasing of Zuckerberg’s Chinese speaking skills. The hope, no doubt, is to make Facebook look China-friendly, because, if Facebook loses China, then it has a good chance of losing its hold on social media dominance throughout the world. Line has remained largely out of the focus of Western media. I really only heard of it when I came to Japan a couple of weeks ago and began asking people about the latest tech trends. What surprised me is that everyone was talking about Line and enthusiastically endorsing it. Here are the major reasons people said they preferred it over Facebook and other social network services. If you meet someone and you decide to become Line friends, you can just scan each others’ q-code using your smartphone camera. You can optionally just vigorously shake your smartphones at the same time and this will be interpreted as a dual friend’s agreement: No confirming, no sending a message. Because Line doesn’t really offer anything new, it offers a lot of things, like phone and video calls, with simpler interfaces all in one spot. When I first heard this, I thought it was a joke that this could actually be a selling point. Line offers users stickers (little cartoon characters used like emoticons) to put on their text messages. In fact, many users simply use the stickers to convey their message. True, these cute characters tend to appeal to young women; however, with over 70% of young mothers claiming to use Line, this demographic represents a significant number of users. In addition, Line tends to make these stickers reflect local interests or trends which makes them usable in any location. Spain, for example, has the most Line users outside of Japan with 18 million. Line says the reason for this is that Spanish users enjoy the emotional content shown in the stickers. They find it a quick and easy way to convey how they are feeling. Not all the icons appeal to the Japanese cute ideal. Those for men may show action characters and so on. 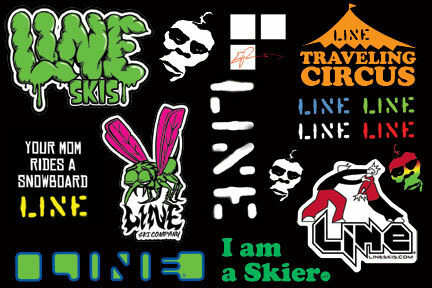 A lot of stickers come free with Line and others are available for purchase. You can even design your own stickers. It is safer than Facebook. The Japanese have this idea that Facebook is unsafe. It tops the list of unsafe social networks in Japan with 48.8% of users worrying about using it. Only 27.2% worry about Line. One person explained that she was worried that Facebook friends may expose her personal information to others. Culturally speaking, this is a big worry for the Japanese. I’ll talk more about security concerns later. It lets me see if my text message has been read. I felt this last reason for liking Line was a little bit “stalker-ish”. I pointed out that such an ability could bring negative side effects. A person sending a text message may feel they are being ignored and get angry at someone who is only busy and has no time to read the message. A person reading the message and not answering in a short amount of time may inadvertently send a similar negative message. “I read your message but I’m not interested enough in you to answer it.” Nonetheless, most of the people I talked to liked this feature. It lets me form groups. This is a cultural point which I will address later. Facebook still has over a billion users worldwide as opposed to Line’s 560 million, as of October 1st. However, among messaging apps, Line is second and closing the gap with WhatsApp with its 600 million users. If Line continues on its current growth rate, it should easily surpass WhatsApp this year, especially if it begins to catch on in the West. But is this a realistic possibility? Can a Japanese-based social network service really appeal to Westerners? When I first went to Japan in 1985 and saw some intoxicated construction worker singing karaoke, I told everyone that karaoke would never be popular in the West; so much for my ability at making predictions. Others thought that Japanese food was too strange to catch on in the West (no one would ever eat raw fish). Then, there’s Pokemon (what is it? ), Hello Kitty (it’s just a cat with a big head), and let’s not forget that bachelor and university student favorite, ramen or cup of noodles. You cannot predict that Line won’t catch on simply because it comes from Japan and may have cultural elements built into it. However, one of the reason’s for Facebook’s decline overseas, and especially in Asia, is that it comes packaged with certain American cultural assumptions. Looking at it from abroad, Americans seem obsessed with getting friends and being the center of attention. The more friends they have and the more that they are liked, the better it is. It is the perfect narcissistic stage: “Look at me, look at my kids, look at my pet, look at me on vacation. Tell me how much you like me.” However, other cultures may not see these aspects as positive. Most Asians are uncomfortable with the idea of being the center of attention. The Japanese have a clear separation between the private and public self. They enjoy being a member of a group. The main group is the family and the next is the company. They may have university friends’ groups. Rarely do these groups interact. It would be unusual for a Japanese to invite his or her business associates to a party that included family members. The fact that Line offers the group option makes them feel comfortable and makes them feel safe. What happens in the group stays in the group. Although they may feel culturally safe, they will not be safe in terms of cyber security. From a security standpoint, Line is riddled with potential holes. One reason that it works so easily is that a lot of the security that bogs down Facebook is ignored by Line. This will eventually catch up with them, but, right now, they are growing too fast to worry about it. Besides, Line seems to be taking advantage of the current security apathy that is affecting online users. Along with all the free programs and games that are currently packaged into Line, they are expanding into maps, music, taxis, food delivery, books, and payment software. That’s a lot of security to shore up. Line has not yet begun its advertising campaign in the US, yet, it already claims to have 25 million users. It has also rejected having an IPO on the New York Stock Exchange and why should they? With a year-on-year growth rate of 82.9%, they can certainly wait to raise their profile. With the publicity from advertising and an IPO that may value the company at as much as $20 billion, Line would have the weaponry to intensify its assault on Facebook US. Of course, Facebook is not going to sit back and let this happen. Expect Zuckerberg to pull out all stops to thwart Line’s efforts. Facebook is already having problems with its perception as being a social network for “old people” (over 25). 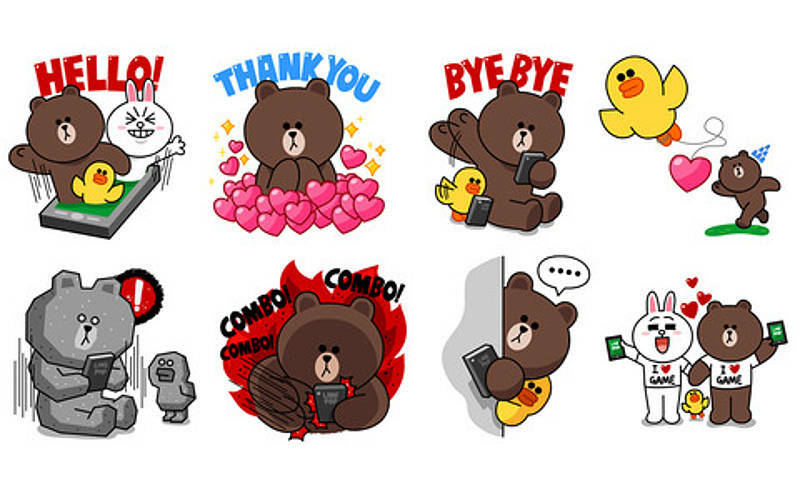 With line appealing to a younger audience, Facebook has entered the sticker market and you can expect they will buy up a few companies along the way to short-circuit Line’s strategy. Nonetheless, by this time next year, there will be a 50% chance that you will be considering joining the Line surge. Wouldn’t it be nice if you no longer had to worry about your company’s network being compromised by an irresponsible employee? Stop worrying. Here’s your answer. Posted on November 18, 2014 November 18, 2014 by Steve MierzejewskiTagged best social network, Facebook china, Facebook demographics, facebook japan, Line corporation, Line stickers, social media Japan, the end of Facebook. Previous Previous post: Using reputation management services to build or rebuild your reputation: Proceed with caution.